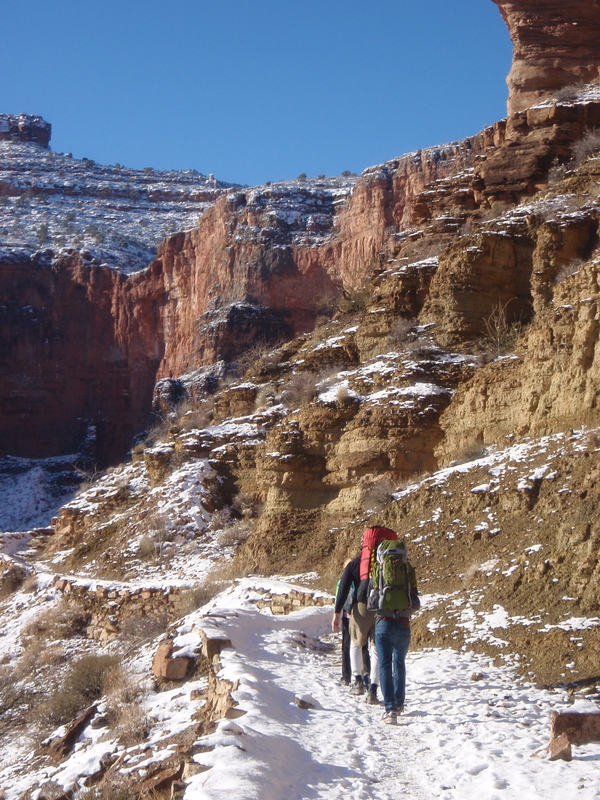 Whether the weather is “good” – do we get outside anyway? The morning of our Grand Canyon hike it was snowing. The visibility was not good, and it felt bizarre to know that those amazing striated canyon walls were there, but unseen. I tried to focus more closely on the trail, the near walls we could see, helloing the few people we met, and talking as we hiked. 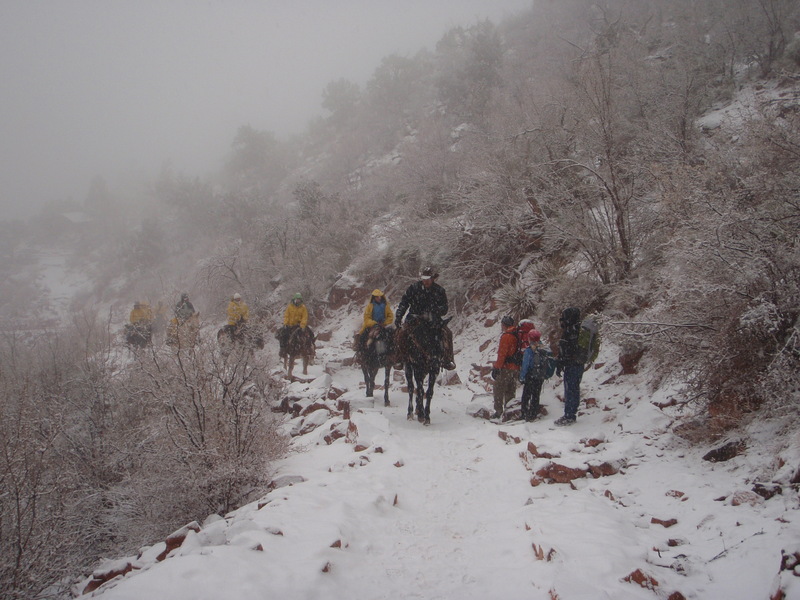 As we stepped to the side to let the mules pass, I hoped we were doing the right thing to continue on trusting the weather to improve. The snow was wonderful, beautiful, but I knew by the bottom it would be rain since you gain about 20 degrees Fahrenheit in temperature between the rim and the river. Were we doing the right thing to go into a potentially chilly wet night in our tent? I never want to stretch the kids so far that they have a bad experience adventuring. As we lost elevation, we ended up below the clouds. The rain was light, the visibility much better, and after we set up the tent we warmed up with hot chocolate in the Phantom Ranch cantina. Having brought extra sleeping pads and layers, we slept warm, and then we were lucky. The next day was beautifully clear. It doesn’t always work out that way of course. We had calculated we could live with a wet night and a six-hour hike out if it came to that, and chose to go knowing it might be uncomfortable. Whether the weather would have looked good enough to others – maybe not. Sometimes the adventure you plan for is different than the adventure you get. Maybe even often. But that’s also part of the fun of being active outdoors.